Not only are there evidence such as DNA tests and dozens of testimonies that would exonerate it, but now there is also the phonic expertise of the Court of Assizes of Palermo presided over by the judge Alfredo Montalto that shows how the voice of the accused does not correspond to that of the real researcher who is heard talking in wiretapping. We are talking about an Eritrean who has been in prison for three years on charges of being the ruthless human trafficker Medhanie Yehdego Mered and there is an ongoing trial. This story was discussed above all in international newspapers. In July 2017 the New Yorker published a very in-depth article that lined up the many evidence supporting the wrong defendant's version, as well as Il Guardiansigned by Lorenzo Tondo, a Sicilian journalist expert on mafia things who collaborates with several international newspapers. On May 24, 2016 a man was arrested in Sudan who was extradited to Italy on 7 June and adjourned in court in September 2017. 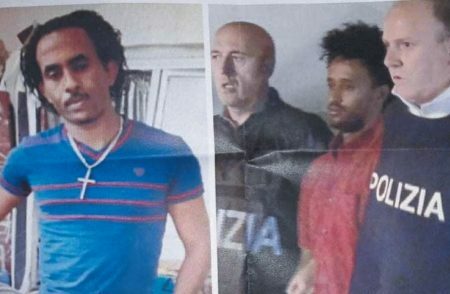 But the man would be Medhanie Tesfamariam Berhe, a 30-year-old Eritrean, and not Medhanie Yehdego Mered, a 36-year-old man from Eritrea, accused of being one of the heads of a large organization based in Libya that manages the smuggling of migrants to Europe, and involved in the travels of at least 13 thousand people. In June 2016, the Italian Ministry of the Interior and the National Crime Agency of the United Kingdom had announced with some emphasis the arrest in Sudan and the extradition in Italy of Medhanie Yehdego Mered. The magistrates of the Palermo prosecutor's office had intercepted Mered's cell phone for months gathering information about his account and his activities. After the arrest the British media had begun to have doubts, writing that the person arrested and now on trial was actually another: that he had never been in Libya, which had nothing to do with the alleged network for the trafficking in migrants and who had declared himself innocent. With the trafficker he simply shared a very common name. So many are the evidence brought by his lawyer defender Michael Calantropo, not least the DNA test that showed with absolute certainty that the son of the trafficker is not the man in prison. A test, yet another, but it did not change the fate of the process.